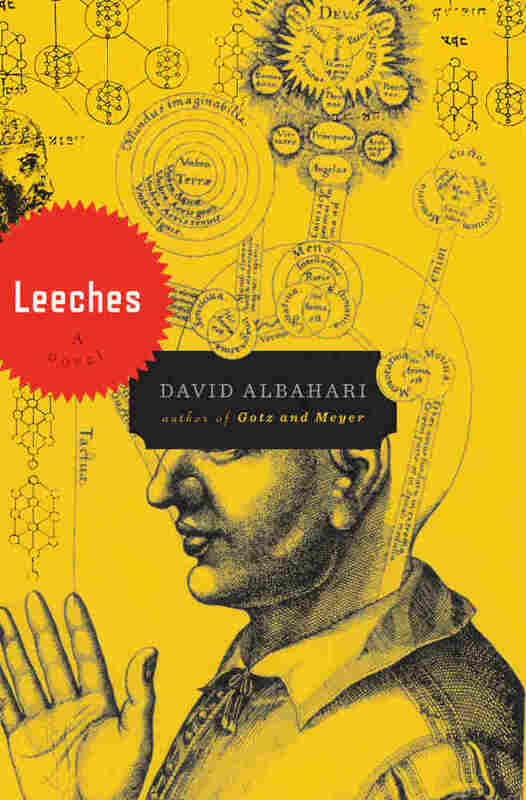 'Leeches': A Tale Of The Balkans, Breathlessly Told David Albahari's Leeches is a full-steam-ahead, 300-page run-on paragraph told energetically by a nameless narrator. Set in Belgrade in the late 1990s, the novel peers into the dark currents flowing just beneath the surface of human experience. Violence in the Balkans perhaps could be said to have opened and closed the Western 20th century — from the 1914 assassination of Archduke Franz Ferdinand by a Serbian dissident to the brutal splintering, in the 1990s, of Yugoslavia, which led to ethnic cleansing and Slobodan Milosevic's trial for war crimes. In the spring of 1998, the bloodletting in Kosovo reached a point where the international community could no longer turn its head, and tensions would mount until NATO's bombing campaign was begun a year later. 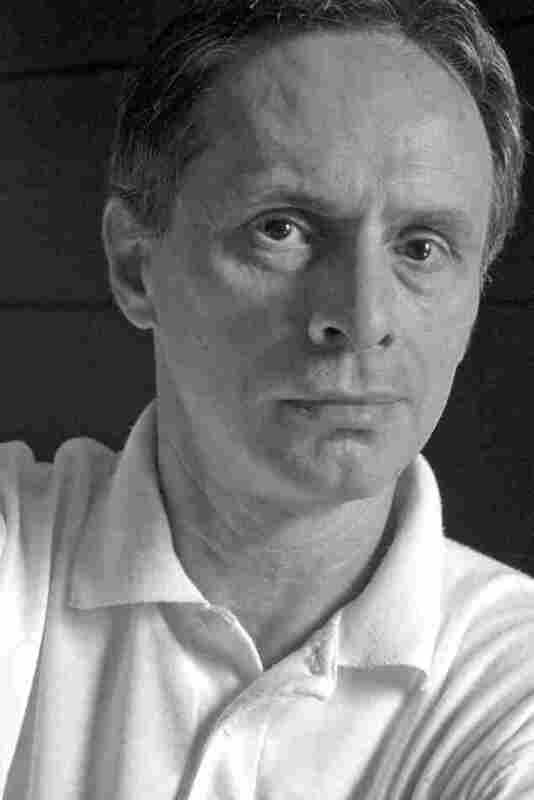 And yet, in March of 1998, the young journalist who narrates David Albahari's novel Leeches sits in Belgrade, only one province over from the site of attempted genocide and the oppression of a people, writing opinion pieces about whether the citizens of his city really appreciate enough the river that cuts through it. But then there's a difference between a tragedy happening out of sight to a group of strangers, and one playing out before your very eyes. Along the banks of the Danube, the narrator witnesses a couple arguing. Suddenly, the man slaps the woman and leaves. The act of violence shocks him so that the event is imprinted on his brain, from the expression on the man's face to how the woman's foot landed in the water as she stepped back in surprise. He obsesses over the event, wondering if perhaps the other witness was somehow involved, or if the whole thing was staged for some reason. When a classified ad appears in the paper, "Sometimes a slap can change the entire cosmos," the journalist dives into investigating this small act — and that this leads him into a world of anti-Semitic conspiracies, Kabbalist mysteries, mathematical trickery and the natural history of the common leech does not seem to surprise him. The entirety of Leeches, 300 pages, is told in one rumbling, stumbling run-on paragraph. It's not stream of consciousness — it's too coherent a storyline for that. It's more the way a child tells a story, barely stopping for breath until he's blue in the face. This energy gives Leeches its charm. It's dark stuff, but told with a "you are not going to believe this" tone that lures you down the narrator's every twisting path. The conspiracy-minded narrator remains nameless — but the Serbian-born Albahari has a penchant for anonymous narrators. In his bold and upsetting novel Gotz and Meyer, the Jewish teacher who recounts the story of two German officers who casually killed 5,000 Jews never gets a name. The effect is less immediate and devastating in Leeches — the book's long discourses on Kabbalist thought and immersion in complex mathematics sometimes break Albahari's spell — but it's still effective in pulling us deep into the mystery. Neuroscientists believe that conspiracy theories are born of the pattern-making capacity of the human brain — we're inclined to find connections between disparate events and hang too much importance on coincidence. But when everything is connected — from the bloody legacy of the Balkans to the history of Jewish culture in late 20th century Central Europe to the casual violence between men and women — you have a hell of a story. Albahari has written another investigation into the dark currents flowing just beneath the surface of human experience, and we should feel lucky to follow him down. Now, six years after the fact, I realize things might have gone differently, but back then, on Sunday, March 8, 1998, when it all began, it was impossible to imagine any other way for events to unfold. Also perhaps I made no effort to imagine something different, believed I had no choice, no choice at all, but was instead looking at the inevitable, which I could not have influenced even if I had wanted to. It no longer matters, because what was happening, whether I chose it or not, became destiny, which nothing will ever be able to change. The apple drops from the tree, red and firm, and is nearly hidden in the dense grass, but the ants, snails, and wasps find their way to it, and in the end nothing is left of the apple; the grass will right itself in time. I must be mentioning an apple now because that Sunday, six years ago, I left the house holding an apple, not a red one, true, but yellow, which I later ate, all of it, even the seeds and the stem. To be fair, I didn't actually eat the stem, I held it between my teeth for a time, mashing and nibbling at it slowly, until it finally came apart. I always took a walk on Sundays along the Danube, no matter what the weather, in rain or the blustering kosava winds. Not even the snow stopped me. It wasn't snowing that day though, nor was there much of a wind blowing: the clouds tumbled across the sky, the sun gleamed from time to time, then slipped again behind a cloud; all in all, it was an ordinary, though chilly, March day. I went out after lunch, at about two in the afternoon. I took the first bite of my apple when I crossed the square, and choosing the shortcut between the new high-rises, came out onto the quay. As I bit into it, the yellowish peel, dotted with golden freckles, resisted for a moment, then burst. Three drops of apple juice sprayed my face: one on the forehead, two on the left cheek. I moved my hand to brush them off, and between my fingers as I was touching my forehead I caught sight of a young man and woman standing at the water's edge. My eye wasn't drawn by their proximity to the river, which could be reached only by wading through the mud or hopping cautiously from stone to stone, no, it was something in their gestures that set them apart from their surroundings, as if they belonged to another world, a realm completely alien to the people strolling on the quay. Whatever it was, it stopped me in my tracks. I sat down on the nearest bench, pretending to stare off into the distance at the outlines of the buildings of Belgrade, at everything but those two people. All that was left of the apple at that point was the stem. I mashed it between my teeth, savored the bitterness, and just then, with no warning, the man slapped the woman. The slap may not have been hard; from where I was sitting it looked as if he had swung more from the elbow than the shoulder, but it might have only looked that way from where I was sitting, the angled trajectory of my gaze; the woman staggered, swayed to the right, as if she were combining the force of the blow with a lunge to evade it, then carried by inertia, sloshed back with her right foot into the river. One could clearly see how the water splashed at her ankle, how her sock soaked up the wetness, how her leg sank into the muck. The man raised his hand as if to slap her again, then dropped it, turned, and walked back to the riverbank. I too turned, but no one else seemed to have noticed anything. The man was soon on the path. He passed close by me on his way toward Hotel Yugoslavia. I watched him until he had disappeared in the crowd. Meanwhile the woman hadn't budged: her right foot was still in the water, her body twisted, her hands at her chest. I thought she might be in a state of shock and that I ought to help, and I was ready to start down the steep slope that ran from the edge of the promenade to the riverbank when I noticed a man in a black trench coat. He was standing next to a seesaw in a playground, staring straight at the woman. To this day I am not sure whether it was the same man I ran into later, but he was why I decided not to go down to the river's edge. Gnawing at the mashed apple stem, I knelt and pretended to be fiddling with my shoelaces. When I looked up again, the man in the black trench coat had gone. The woman had moved: she was wading through the mud, skirting the rocks, until she reached the steps that led to the promenade. She carefully made her way up, one step at a time, as if reluctant to get to the top. Between us was a small playground with a shabby little merry-go-round, seesaws, and a train tugged by a grinning caterpillar. I paused there for a moment, a group of fathers and mothers cheered on the children in the battered little green wagons and on peeling horses, and over their shoulders I watched the woman's progress. The train had made a full circle before her head appeared. She ascended a few more steps, turned to look behind her as if she were afraid of heights, and finally stepped onto the pavement. She glanced over at Hotel Yugoslavia, then looked the other way, toward Venezia Restaurant, and just as a child began to howl when his mother took him off a black-and-white horse, she started walking in that direction. I waited for her to get ahead, then set out after her. I wasn't thinking at all, I didn't pause to wonder what I was up to, I didn't say to myself that I should follow her, I simply put one foot in front of the other, and followed her. I don't know why. I was bothered by the way she had been slapped, though I had no right to be. I knew nothing about her, or about the man she had been standing with in the water, and countless possibilities might have led to that slap, though none, in my opinion, could justify it. She walked faster down the quay, and when she got to the restaurant she began to run. I saw her get beyond the building that used to house the Harbormaster's Office and then I too began to run, but along the other side of the building, certain that I would be shortening the distance between us. When I reached the farthest corner of the building, however, I could no longer see her. I went around to the front, peered into the gallery that had replaced the Harbormaster's Office, looked out over the boats. She was gone. I went back to the restaurant, from where she might have gone in any number of directions while I was circling the building and checking the gallery. I was furious at myself for having made that mistake, though meanwhile insisting that I shouldn't care one way or the other. It was not as if something consequential had happened: a slap, wet socks, silence, a chase. In the context of what was going on in the world, these were niggling details. Exactly, I thought to myself, and gave up. The next afternoon I was back at the corner of the Harbormaster's, ready to scour the streets down which she might have escaped, having persuaded myself that she had seen me following her and that she was not running away from the horror of the slap, but from me, and that I must find her and explain my role, which was not really a role so much as the position of an involuntary extra. I didn't run into her anywhere, of course. I glanced into two or three doorways, ventured into a yard, stopped by an open window, studied some crumbling façades: all of it pointless, I knew, but I couldn't stop myself. I had barely slept the night before. I'd lain in bed looking at the ceiling, and every time I closed my eyes, I saw the man's hand slapping the ¬woman's face. I fell asleep just before dawn, and when I awoke, I was more tired than I was when I'd gone to bed. I drank my coffee and had a piece of bread spread with apricot jam. My hands felt heavy, my thighs wobbled, there was a buzz in my head, and it was clear that I would not be getting any writing done that day. I called my editor and told him not to worry, that he would get the piece in time for the coming issue. Fine, said the editor, and hung up. I lasted in my apartment until lunchtime, then went out to the quay. Excerpted from Leeches by David Albahari. Copyright 2011 by David Albahari. Excerpted by permission of Houghton Mifflin Harcourt. All rights reserved.